MK Yisrael Eichler (United Torah Judaism) on Sunday accused Prime Minister Binyamin Netanyahu and additional ministers of being bribed by the Reform movement in the US. 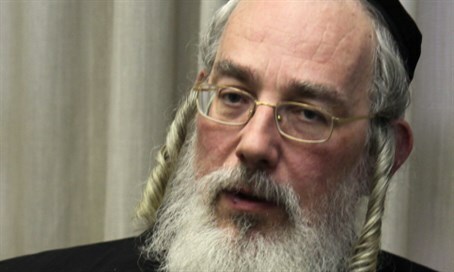 Eichler's accusations come as the government has made several moves towards recognizing the Reform movement, such as creating a second non-Orthodox prayer space at the Western Wall (Kotel) and removing the space from the rabbinate's authority and transferring it to the Prime Minister's Office. Members of the Reform movement have likewise been more active, with a large delegation arriving from the US last week, even as the haredi parties in the Knesset such as UTJ weigh their steps - which may include bringing down the government. "I don't want to say here the name of the most senior politician who receives millions through a certain Reform Jew who sits in the US and presses him - that's buying the government with money," claimed Eichler on the Knesset TV channel. "There is pressure on the Prime Minister and ministers in the government by Reform sponsors who support a lot of politicians through funds and all the legally valid means." The MK said that "the Reform lobbyists are pursuing the haredi community. They are our enemies and those who want to be a partner with us do not need to cooperate with them." Eichler also criticized MK Yair Lapid's Yesh Atid party, saying, "Yesh Atid is a party controlled by Reform Jews and that's what they want - for us to leave the government and them to enter instead. The Torah sages will decide if we will remain or leave."